LONDON, ENGLAND - JANUARY 17: Bradley Beal #3 of the Washington Wizards reacts to a play during the 2019 NBA London Game against the New York Knicks on January 17, 2019 at The O2 Arena in London, England. For the first time in franchise history, the Wizards played and won a regular season game overseas. 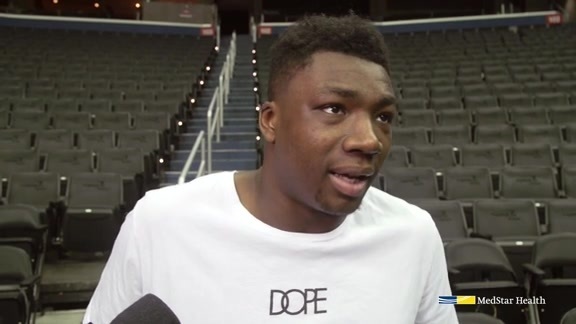 The Wizards defeated the Knicks 101-100 in London in thrilling fashion on a Thomas Bryant game-winner. Bryant scored the game-winning basket on a goaltend with 0.4 seconds left, as the Wizards erased a 19-point deficit. The Wizards trailed by a point after forcing their ninth turnover of the fourth quarter with 3.3 seconds left. 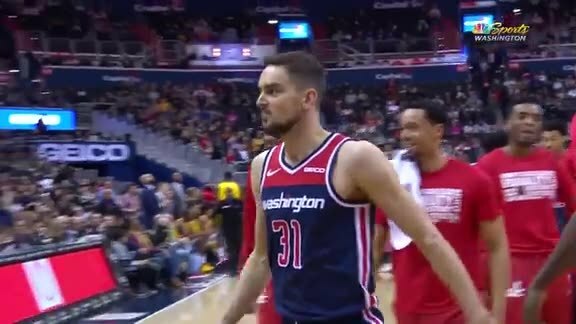 Bradley Beal, who had 26 points in the game, gathered the in-bounds pass out of the timeout and found Bryant cutting to the rim. Bradley Beal noted the team had faith in Bryant making the play to win the game. "He did a great basketball play, just rolled to the basket," Beal said postgame. "I trusted him to be able to make the right play, whether it be kicking it out to the corner, or laying the ball up like he did." "I trust one-through-15 to make the play... It doesn't matter who has the ball, who makes the plays, as long as it gets done. And TB got it done." Washington outscored New York 24-11 in the fourth quarter, holding the Knicks scoreless in the first five minutes and 12 seconds of the fourth. The Wizards used a 15-2 run to take back the lead, with Beal and Otto Porter Jr. (20 points) each hitting big 3-pointers. "We got four or five stops right there, and were able to go down and capitalize off of that," Porter Jr. said postgame. "Our guys just stayed together, and we were able to overcome being down." Head coach Scott Brooks echoed his player's sentiments. "We didn't play the defense we needed to play throughout the game during the first three quarters," Brooks said postgame. "We defended in that fourth quarter, and that's why we came away with the win." On a night a lot of shots weren’t falling, the Wizards clamped down on defense to hold the Knicks to only 11 points in the final period. New York only shot 4-of-14 from the field in the fourth to go along with those nine turnovers. The Wizards’ 15 offensive rebounds gave them a chance to come back, as well as 22 points off 16 Knicks turnovers. The Knicks caught fire in the first half, making 9-of-18 3-pointers and opening up as much as a 19-point lead. Luke Kornet’s 14 points and Damyean Dotson’s 13 led the Knicks, while Tomas Satoransky had 12 of his 14 points in the first half. Beal cited the team's morale as a catalyst for the hard-fought, comeback victory. "We're a competitive team," Beal said. "Win, lose, or draw, we stick together. We keep our heads high, we continue to get better. We're right here in the playoff hunt, which is where we want to be." 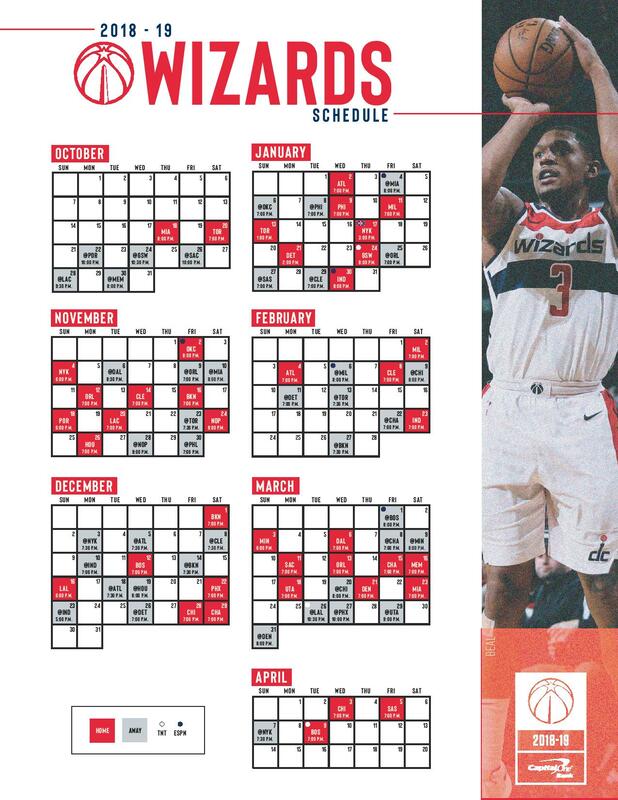 The Wizards will head back to the U.S. for a few days without a game until hosting the Pistons on Martin Luther King Jr. Day on Monday.